Candidates repeatedly ask me this question. It’s a love/hate question that comes with staffing. I LOVE that it shows me the candidate is interested and passionate about this position. I don’t love the fact that I can’t give or control what that answer will be. The glorious part of working with a staffing firm as a candidate is we get you in front of the client before the job is released to the public. We have also built relationships with these clients so they trust your resume more with our push than it would stand alone. On the other hand, clients are looking to make an investment in you. Like most people, they tend to take their time when making big decisions. For me, it’s like shopping. I don’t like to make decisions right away. I want to see if there is a better deal out there somewhere, even if the one in front of me is everything I’ve been looking for. Then by the time I go back for the first deal, the product is out of stock or the deal is no longer valid. Hence, the reason my wife despises shopping with me. A lot of employers will continue to interview other candidates even if they have interviewed an A+ player already. Which leads me to a quote I had heard recently from psychologist Donald O. Clifton, “What will happen when we think about what is right with people rather than fixating on what is wrong with them?” So maybe we change the game and start looking at who is open to be trained versus who isn’t? With the unemployment rate at an all-time low, it may be in your best interest to look for a candidate who will do a good job and work well inside of the business even if they don’t meet every single check mark on your “perfect candidate” list. 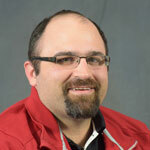 Josh is a Sr. Account Manager who has been with AurStaff for four years. He has been married to his wife, Amanda, for 11 blessed years and he has a beautiful daughter, Leah. Josh’s family also has three rescue dogs – a border collie named Yadier, a mini Australian shepherd named Lou, and a golden retriever named Jayci. In Josh’s spare time he enjoys fishing, camping, playing softball, and is a huge St. Louis Cardinals and Texas Longhorn fan.